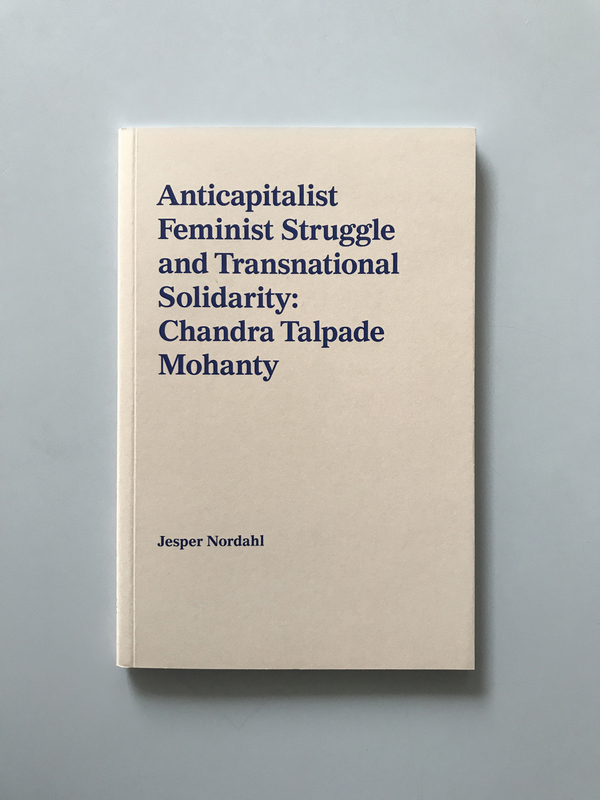 The book is a transcript of my video Anticapitalist Feminist Struggle and Transnational Solidarity, based on an interview I conducted with the feminist theorist Chandra Talpade Mohanty in Ithaca, New York, in March 2007. Our conversation addresses relationships between gender and capitalism, as well as resistance, struggles and strategies for social change. Spanning over several decades, these are subjects in which Mohanty is deeply invested, both as an academic and as an activist. The book also includes a newly written preface by Mohanty, where she reacts to the interview with her current thoughts. Chandra Talpade Mohanty is Distinguished Professor of Women ’s and Gender Studies and Dean’s Professor of the Humanities at Syracuse University in New York. She is the author of the essay Under Western Eyes: Feminist Scholarship and Colonial Discourses (boundary 2, 1986). She has also written and edited several books, including Feminism Without Borders: Decolonizing Theory, Practicing Solidarity (Duke University Press, 2003); Feminism and War: Confronting U.S. Imperialism, co-edited with Robin Riley and Minnie Bruce Pratt (Zed Press, 2008); and Feminist Freedom Warriors: Genealogies, Justice, Politics, and Hope, co-edited with Linda E. Carty (Haymarket Books, 2018). Jesper Nordahl is an artist who lives and works in Stockholm. His work has been shown internationally, including exhibitions at Shedhalle, Zurich; Index, Stockholm; Artists Space, New York; Colombo Art Biennale, Colombo; Grazer Kunstverein, Graz; GIBCA, Gothenburg; Galerija Umjetnina, Museum of Fine Arts, Split. Nordahl graduated from The Royal Institute of Art in Stockholm in 2000 and participated in the Whitney ISP in New York in 2006-07. Kungl. Biblioteket (Stockholm), Umeå, Uppsala, Stockholm, Linköping, Göteborg and Lund.